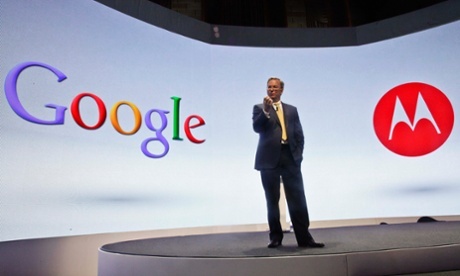 Google paid around $12.5bn for the company just under two years ago. The purchase was their largest acquisition was considered to show the company’s moving into the hardware market. Although they sold Motorola, Google plans to keep the majority of its lucrative patents, which include a piece of android software. Following the sale, Google released a statement remarking on the ‘super competitive’ state of the smartphone market, and that Motorola would be ‘better served by Lenovo’. Lenovo plans to use the purchase to boost their smartphone division, which they hope will make up for their personal computer business, which has been slowing recently. Strategy Analytics said that the sale boosts Lenovo’s access to the US smartphone market and the growing Latin America region. This is seen as a chance to complement its existing PC business, as they have already been involved in some major purchases over the past few weeks. Although many experts seem to have encouraged the deal and deem it to be smart on both parts, Lenovo’s shareholder stats did not reflect the same confidence as their shares in Hong Kong fell by 8% following the announcement. The question still remains of whether or not they can turn around the Motorola business and make it successful, as well as long term speculation over what will become of the Motorola brand. However, Mr Wong, Lenovo’s Chief Financial Officer is apparently not at all concerned that they may have overpaid for the brand. ‘Market prices go up and down and I would not take one-day performances as a reflection of the market viewing it negatively’ he said. He went on to explain that there was no ‘urgent need’ to find funds from the capital markets for the Motorola purchase. In announcing Wednesday’s purchase, Lenovo mentioned the revived strength of the Motorola brand, which was achieved with Google’s help. In a statement made by Yang Yuanqing, the Chief Executive of Lenovo, he said that with this new purchase of Motorola ‘We will immediately have the opportunity to become a strong global player in the fast-growing mobile space’. He also highlighted the fact that the acquisition gives Lenovo room to move into both North and Latin American markets as well as Western Europe.